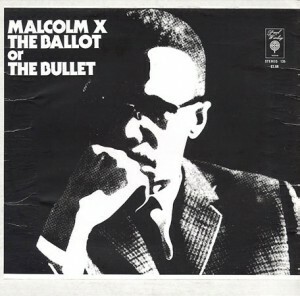 Malcolm X's "The Ballot or the Bullet" emphasizes the need for African Americans to engage in the voting process. For decades our ancestors bled, fought and died in order to ensure our rights as equal citizens. The Ku Klux Klan, than a legal militant terrorist organization, developed as a result of white southerners’ violent opposition to blacks being able to play a part in legislature and voting elections. Hundreds of black people were mobbed, beaten, raped and murdered in order to be kept from voting. As a prelude to our freedoms, they risked their lives and the lives of their loved ones to make it possible for us to voice our opinion by vote. I know for a fact that if I asked my friends why they voted for President Obama, almost every single one of them could not give me a valid reason. After President’s Bush presidency, most African-Americans voted for Obama thinking he was a “black savior” who would miraculously come into office and with the snap of a finger, fix everything. What they failed to realize is the decision-making is not solely on him, but it relies heavily on his legislature. But how many of us really took the time out to educate ourselves on those names below President Obama’s on the ballot? I strongly believe it is urgent that we as a people take the time and effort into investigating and researching our possible political leaders: where they come from, what they stand for and who they have accompanying them in the decision-making process. Our ancestors fought too long and too hard for our voices to grow idle. Regardless of how strong of a belief you have in politics or even if you are in complete opposition to voting, knowing is always better than not knowing. The biggest road block we have in front of us is ignorance and we need to do all that we can change to that. We have the power to contribute and change and at least for our ancestor’s sake, we cannot let it slip away.